Dr. Venugopal obtained MBBS from Government Medical College, Trissur Kerala, India in 1990, DCH- Government Medical College Calicut Kerala . India and MD Paediatrics – Seth GS Medical College and King Edward VII Memorial Hospital Mumbai. He is also a Diplomat of National Board – New Delhi (Pediatrics). 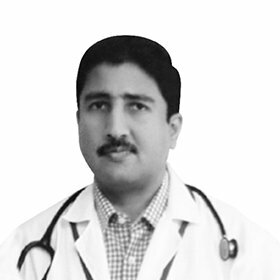 He worked in different hospitals in Kerala for 6 years before joining Dr Joseph Polyclinic in 2002. His special interests are in management of childhood asthma, allergy, infectious diseases and diagnosis and management of all paediatric and neonatal problems.